HONOLULU (7 Dec. 2016) The Western Pacific Regional Fishery Management Council yesterday in Hilo began holding a series of public scoping meetings to prepare fishing measures for the newly expanded area of the Papahānaumokuākea Marine National Monument (PMNM) in the Northwestern Hawaiian Islands (NWHI). By Presidential executive order, commercial fishing will be prohibited and non-commercial and Native Hawaiian subsistence fishing will be regulated. The meetings continue tonight in Kailua-Kona and end on Dec. 17 in Molokai. Those unable to attend are welcome to send comments to info.wpcouncil@noaa.gov or by mail to the Western Pacific Regional Fishery Management Council, 1164 Bishop St., Suite 1400, Honolulu, HI 96813. At this scoping phase of the process, there is no comment deadline. The expanded Papahanaumokuakea Marine National Monument prohibits commercial fishing in about 61 percent of the US EEZ around Hawai’i. 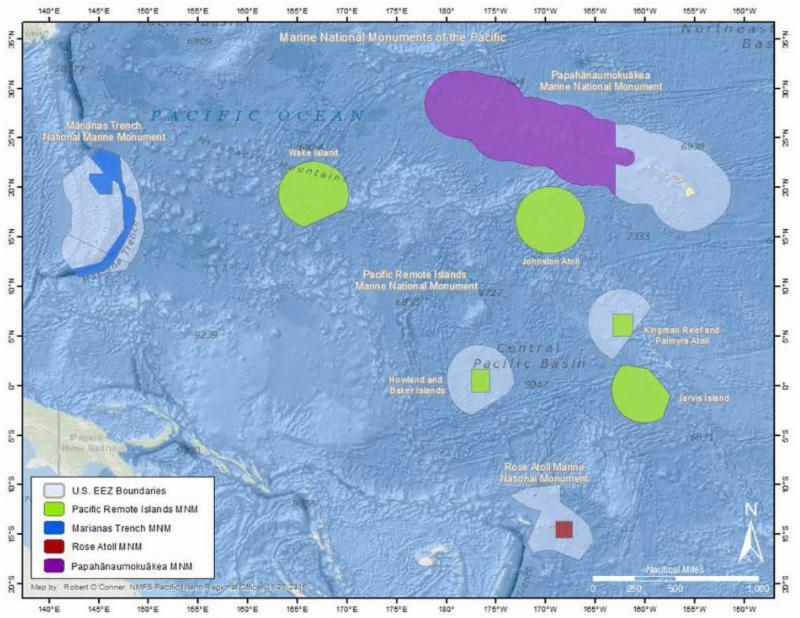 Marine national monuments now comprise 51 percent of US EEZ waters in the US Pacific Islands. Agenda: Informational booths, Presidential proclamation on the PMNM expansion, Council’s rule-making role, data discovery questions and public comments. For more information, go to www.wpcouncil.org or email info.wpcouncil@noaa.gov, ph. (808) 522-8220.